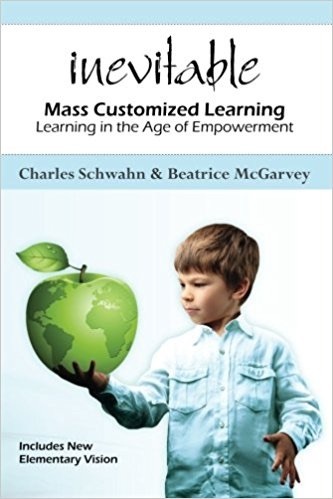 Inevitable: Mass Customized Learning in the Age of Empowerment by Charles Schwahn & Beatrice McGarvey shares an exciting vision for education that uses today’s powerful mass customizing technology to meet the individual learning needs and interests of every learner every day. The goal is to do for learners what Apple does for music lovers, Amazon does for readers, and what Google does for seekers of information. Mass Customized Learning is necessary and doable. The world has left the Industrial Age of mass production and entered the Information Age of mass customization, except for education. We still presuppose that all students of the same age are ready to learn the same thing, the same way, in the same amount of time. This explains why people in general don’t think public schools are doing a good job. Technology has transformed nearly every sector of our lives and it should help enable changes toward customized learning. This is not only a book for teachers, but for everyone in the community especially students who will help show us how to do it. The models are available and there is no reason why it should cost more. 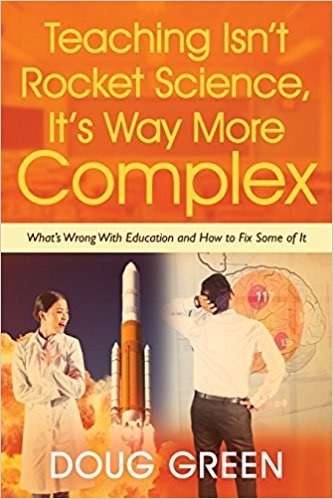 Schools are bureaucratic monopolies existing in a world of customization and service. What we teach now is not much different from a famous 1892 plan. The model was fine when dropouts could still get good jobs. It’s no longer ok to build in failure for some with a rigid time-driven system for learning. We know that not everyone learns at the same rate, but we plan as if they did. Not quite getting it is cumulative. Don’t ask if a child is ready for Kindergarten (or anything else), ask what is the child ready for. Policies and practices are chosen for administrative convenience and are inconsistent with basic learning research. We have expensive extra systems for those who need extra time while our fast runners are held back by the schedule and the curriculum. Averaging grades makes no sense. If someone can demonstrate learning they should move on. If they can’t, they’re just not finished yet. There also needs to be more relevance to the life students are living today and what they will face after school. Be sure to assess your agreement with these realities, which the authors admit may be overgeneralized, with the scale on page six. You should also take it again at the end to see if you have changed. This entry was posted on Thursday, September 22nd, 2011 at 11:20 am	and is filed under Book Summaries, Education Books, Leadership Books. You can follow any responses to this entry through the RSS 2.0 feed. You can leave a response, or trackback from your own site.